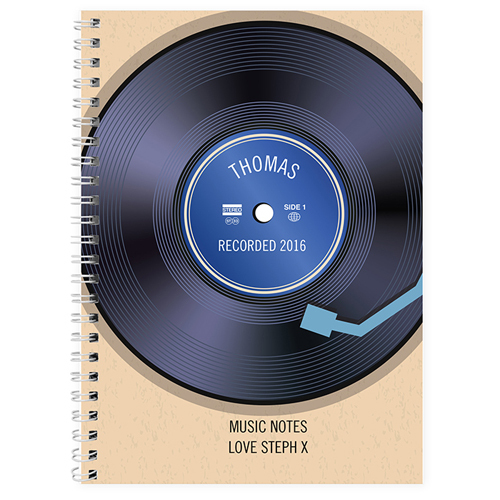 You can personalise this notebook with a name up to 12 characters and an additional line up to 20 characters long (These will both appear inside the record). Lines 3 & 4 have a character limit of 20 characters per line (which will appear at the bottom of the notebook.All personalisation entered will appear in UPPERCASE. Ideal for Birthdays, Christmas, Back to School, Music lovers.